Epiduo gel is acne treatment that clears up and prevents pimples. Can I get Eipduo Gel Online? The Online Clinic can prescribe Eipduo Gel online following a quick online assessment. You just need to complete a questionnaire about your medical history and we can then prescribe for next day delivery. Epiduo is a gel containing two active components called benzoyl peroxide and adapalene. These anti-acne compounds work together to combat acne. Adapalene is medicine related to vitamin A that reduces growth of the cells on the surface of the skin. This helps to prevent blocking of the skin pores and sebum-producing sebaceous glands that encourages the formation of blackheads and pimples. Adapalene also increases the rate of skin cell turnover, which helps the everyday shedding of surface skin cells, and thus the formation of blackheads and pimples. Benzoyl peroxide is a keratolytic agent - these break down keratin in the skin, which results in the breaking down and shedding of surface skin cells This action helps to get rid of blackheads, prevent new ones from forming, and unblock pores and glands. Benzoyl peroxide is also an antibacterial agent that kills the bacteria that lead to acne. It also reduces the numbers of bacteria by decreasing the amount of oily sebum on which these bacteria live. Epiduo gel should be applied thinly, once daily at bedtime, to the affected skin only. Applying more will not be more effective in treating acne but may cause skin irritation. Avoid sensitive areas such as eyes, nostrils and lips, and skin with cuts or eczema. Wash off with warm water if this happens. Try to avoid too much sunlight exposure, and getting Epiduo gel on your hair or clothes as it can bleach them. Wash your hands and the affected area of skin before application, and your hands thoroughly afterwards. Your doctor will explain how much and how long to use Epiduo gel. If you apply too much gel or accidently swallow it, your doctor will advise you on what to do; do not apply extra gel if you forget to apply it one night. Sometimes the skin is irritated by the gel, and you may be advised to use a moisturiser, or to reduce the amount you use or how frequently you use it, or to temporarily or permanently stop using it. Epiduo gel is intended for use by adults and children aged 9 years or older. It should not be used by people who are hypersensitive to any of its ingredients. Also, it should not be used by pregnant women; stop using it if you fall pregnant and contact your doctor immediately. It can be used by breastfeeding women but the chest (including breasts) should be avoided to prevent babies touching the treated skin. The gel should not be used alongside other acne medicines containing adapalene or benzoyl peroxide or cosmetics that dry, exfoliate or irritate the skin. Side effects may occur at the site of application; these are generally of mild to moderate severity, and resolve after about a week. Most commonly these include dry, red, scaling skin, irritation, burning sensation, and rash. You do not have to suffer the embarrassment and pain of acne. 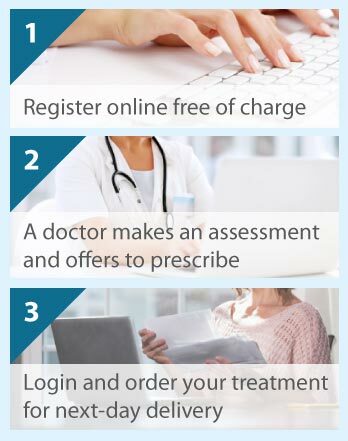 Start by clicking on the Free Consultation button, complete the brief questionnaire online, and talk to a doctor who understands and can prescribe a medicine to remedy your problem.